If the fabric softener is still in the fabric compartment at the end of the cycle and is not being taken out there are a few possible causes. The fault is unlikely to be serious. 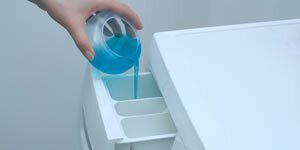 This article looks at the possible reasons why the fabric softener might have been left in the soap dispenser drawer. Failed to complete the cycle? It could be because the washing machine has aborted the program before reaching the section where the softener gets taken. If this has happened you should get some indication that a fault has occurred. Flashing lights, a program selector knob clicking round, or an actual error code number being displayed. 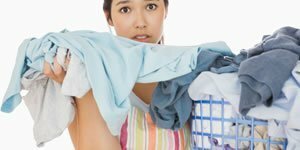 If the wash cycle has failed to complete properly, the fault is unlikely to be related to the fabric softener. Once this other fault has been fixed and the washing machine completes a full cycle once more the fabric softener should flush in OK. 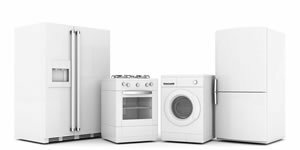 If you are sure that the wash cycle did not properly complete then go to this article – Washing machine stops mid cycle. But if the washing machine completed the cycle properly, and did all its rinses and the final fast spin, then read on. The most likely cause is an open circuit water valve that flushes softener into the drum. However, not all washing machines have a separate softener valve. Some divert water that’s normally used for rinsing into the compartment by a mechanical arm. If there is a separate solenoid valve for the fabric softener it should be easy enough to see. There will be a separate solenoid with 2 wires and a hose connecting to the soap dispenser to where the softener dispenser is. 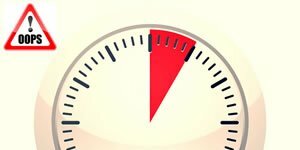 To test a water valve solenoid you need to use a continuity test meter. Don’t just assume it is faulty. 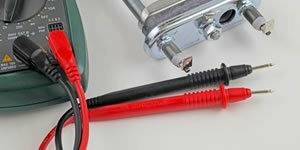 Disconnect the washer from the electricity supply! Take off the wires to the valve and see if you get a reading. The windings on a solenoid valve are very thin, and very long. So there is a high resistance. If testing on the wrong setting you could get open circuit with some test meters, even if it is not. If unsure, the best method is to take off the wires to all of the solenoid valves (take a photo first) and test them all. They should all have the same reading. If they are all open circuit but the wash and rinse cycle is still working then clearly the meter you are using is not on the right setting or capable of reading such high resistance readings. Some older washing machines didn't use a separate fabric softener water valve and could instead have a movable nozzle that directs water from a single cold valve into the fabric compartment. As the program selector moves round there is a lever system that goes from the control selector to the top of the soap dispenser that moves as the program selector is turned. It's possible for this nozzle to jam, or the spring to come off meaning water cannot be directed into the fabric conditioner compartment. 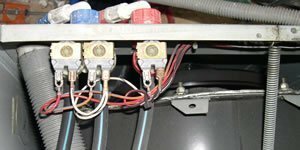 Other than that, the softener valve might be faulty (open circuit) or not getting an electrical supply or neutral return. My washing machine is an Edesa LEA-6110. I can’t seem to find any spare siphon parts online. Is there a one size fits all part I could purchase? The cap is missing so nothing will siphon up and out of the drawer. The cap is likely to be a very rarely required part and unlikely to be stocked anywhere. Go to the 4washerhelp spare parts site and click the link at the bottom of the page which says, “Can’t find what you’re looking for?” to fill out a part enquiry form. If they can’t get the part no one can. Thanks for the tip. I’ve been in touch with 4washerhelp and await their reply. In the case that they don’t have a spare syphon part for my particular model of washing machine, is there a one size fits all part I could purchase? Hello Leo. If there isn’t a spare siphon part a complete new dispenser drawer ought to have it already fitted although there is no guarantee unless you can see a picture of it or the guys at 4washerhelp can confirm. There is no universal fit part available. Even the manufacturer is unlikely to think there’s any money in stocking these parts and there’s definitely not a demand for them, so no independent manufacturer would ever dream of making them. It might be possible for one from a different machine to fit and work but unless you can get one from an old machine somewhere they aren’t parts that are readily available simply because they virtually never need replacing. I have tried all the suggestions I have found on the net; vinegar, scrubbing brushes, spray bleach etc but to no avail, so my 14 year old son and I decided to get stuck in and sort this out. We took the top off of our machine and found there was a moulded plastic box into which the detergent draw fits. The box has 2 pipes coming out of the back, which we soon worked out that; one was for the main wash detergent, the other was a combined one for the pre wash detergent and softner(don’t know how that works). We ran the machine and could see water coming out of the pre wash detergent side of the box, which confirmed we had a working water feed, so then assumed the softner side must have a blockage, which by the time we had finished was confirmed. 1. The quickest easiest thing to try, not needing you dismantle the machine, is to push something into the softner water outlet holes above the draw, I suggest you push it in the hole nearest the front of the draw and push it all the way to through to the back of the box (if poss). Finding something to use was the hardest thing, we went for a 25cm long Tie Wrap which we cut down its full length with scissors until it was thin enough to go into the water whole and down the moulded pipe. It was very tricky to get it started. 2. In conjunction with the above, but requiring you to gain access to the inside of your machine, remove the water feed from the pre wash / softner pipe on the back of the box, put some bleach into the hole(spray bleach is easiest) followed by hot water, we actually managed to get the feed from out steam cleaner into the whole, which I think helped a lot. 3. Possible addition idea…my son got a drinking straw, put it up to one of the softner water holes in the draw compartment and blew, this caused a large amount of gunk to come out of some of the other holes. I think this only worked as we had already soften’d the gunk using the bleach and steam cleaner. Do not under estimate how hard the gunk in the pipes can become and how hard it can be to remove, it took us 3.5 hours faffing around. We have a Zanussi washing machine. Hi can you tell me if all washing machines have the same length pipe that sits in the conditioner drawer ours is 4cms and there is always water just below the pipe end. No John, they all have different designs. If it’s leaving just a few millimetres of water behind it’s probably a design weakness.